"The rise of manufacturing could not have happened without an attention to precision. At the dawn of the Industrial Revolution in eighteenth-century England, standards of measurement were established, giving way to the development of machine tools—machines that make machines. Eventually, the application of precision tools and methods resulted in the creation and mass production of items from guns and glass to mirrors, lenses, and cameras—and eventually gave way to further breakthroughs, including gene splicing, microchips, and the Hadron Collider. 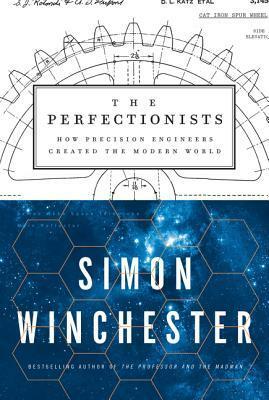 As he introduces the minds and methods that have changed the modern world, Winchester explores fundamental questions. Why is precision important? What are the different tools we use to measure it? Who has invented and perfected it? Has the pursuit of the ultra-precise in so many facets of human life blinded us to other things of equal value, such as an appreciation for the age-old traditions of craftsmanship, art, and high culture? Are we missing something that reflects the world as it is, rather than the world as we think we would wish it to be? And can the precise and the natural co-exist in society?" My dad began working as precision CNC machinist in 1984 at a small machine shop, the same place that my started working at (and still does) as the office manager, and that is indeed where they met and fell in love. From the time my sister and I were born until we each graduated high school, we essentially grew up there. The long story short behind this is to basically explain why I decided to read this book and why it initially caught my attention, as I figured it would be a really neat way to learn more about the career that my dad had my entire life until he passed. LIKES: I liked how Winchester divided the book in different categories of advancements as precision engineering progressed, going from things such as the Antikythera mechanism and watches to jetplanes and more. Even without the huge multitude of notes in the back of the book, it's clear the Winchester did an abundant amount of research to make this both informative and entertaining. The history of methods and the figures involved really felt as if they were brought to life, and his narrative style made it feel as though I were right there with them at various discoveries and challenges. DISLIKES: There were a few portions within various chapters that got a little too technical for my taste, but I did expect there to be some of that so I didn't really let it take away too much from my experience. If that's something that you don't think you'd like, it would be easy to skim over those areas before getting back to the overall narrative. Other than that, I don't really have a lot of dislikes. Winchester does seem to get a little rambling at times, but his rambling is still interesting so it didn't personally bother me that much. Overall, this is a really informative book that I'd say is definitely worth picking up if you'd like to learn about how so many modern things we use came to be. Four stars! 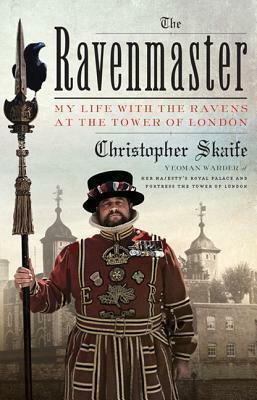 A rewarding, intimate, and inspiring partnership has developed between the ravens and their charismatic and charming human, the Ravenmaster, who shares the folklore, history, and superstitions surrounding the ravens and the Tower. Shining a light on the behavior of the birds, their pecking order and social structure, and the tricks they play on us, Skaife shows who the Tower’s true guardians really are―and the result is a compelling and irreverent narrative that will surprise and enchant." I first learned about the Ravenmaster and the Tower of London's ravens a while back when I discovered the Ravenmaster's Twitter account and fell in love with it. WHen I saw he had a book coming out, I knew I had to check it out. LIKES: Skaife may not be a professional writer, but he sure knows how to tell stories. His stories about the ravens and his own life in the mystery were so engaging and full of wit and kept me constantly wanting more. I loved learning about the ravens at the Tower in addition to some history about the Tower itself and how the ravens came to be so prominent. I also appreciated that Skaife delved into the background on ravens as a whole as well, discussing the superstitions associated with them, how they make the strange croak-like sounds they make, and so much more. DISLIKES: Much like Winchester, Skaife also seems to ramble on a few times that would have been fine, but they went on just a little too long at times. He talks a lot about his military career and although most of the time it was something that I found very relevant to the ravens and also interesting, there were those handful of times that I thought he could have left things out. I really don't have many complains other than that--this book is exactly what it sets out to be. Overall, I really recommend this one if you like animals, history, or just like to learn about new things in an incredibly humorous and entertaining manner. I had an exceptionally fun time reading this book. Four stars as well! The Ravenmaster sounds so interesting! I've really been into nonfiction about people with extraordinary jobs.